PUZZLE BREAK LONG ISLAND IS PERFECT FOR TEAM BUILDING EVENTS, SOCIAL EVENTS, BIRTHDAY PARTIES, BACHELOR AND BACHELORETTE PARTIES AND MORE! WE OFFER PRIVATE EVENTS FOR GROUPS OF ALL SHAPES AND SIZES. INQUIRE TODAY FOR MORE INFORMATION REGARDING BOOKING A PRIVATE EVENT WITH PUZZLE BREAK LONG ISLAND, INCLUDING THE USE OF OUR MULTIPLE ESCAPE ROOMS, PRIVATE EVENT ROOMS AND VARIOUS FOOD AND BEVERAGE PACKAGES. Tell Us About Your Desired Event! Thank you for your interest in Puzzle Break Long Island. We will be in touch with you shortly! Contact Us To Learn More About Private Events! Puzzle Break Long Island’s premier escape-the-room games offer an exciting, unique and challenging experience for all! At Puzzle Break Long Island, teams of players race against the clock to find clues, solve puzzles, and decode the locks to escape the adventure game room within 60 minutes! A truly fun and unique adventure for any occasion. 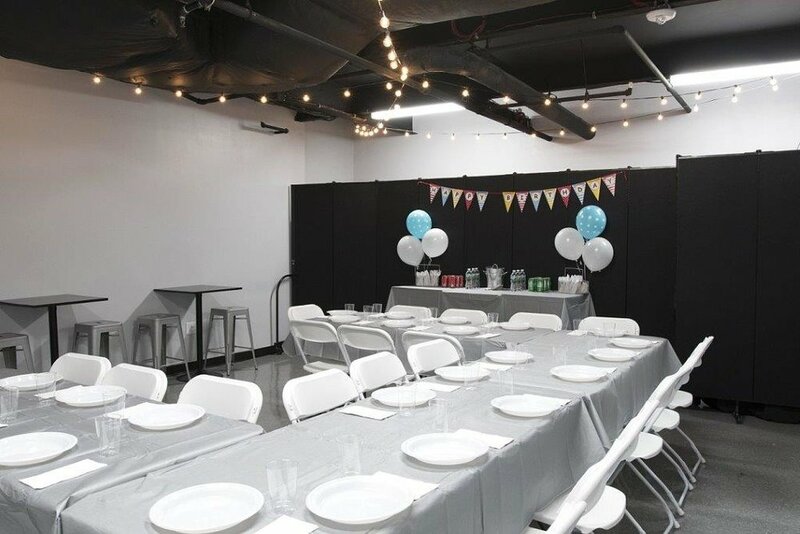 Are you interested in taking your private event to the next level? Put Puzzle Break Long Island to work, and we will create the perfect experience that is designed specifically around the needs and goals of your group. Your groups experience at our facility can be customized to your team's needs and time constraints. Scheduling is handled on a per-team basis; we can generally accommodate most teams' preferred times, day or night. Price is dependent on the size of your group and duration of your event. Teams are given tasks to complete with a tight deadline. To succeed, your team must communicate effectively, collaborate and focus on the task at hand while working diligently towards a common goal. Does this sound like a typical day in your business? If so, let Puzzle Break Long Island help strengthen your team unity. We offer fun, interactive, team building experiences that demand groups work together and communicate clearly to be successful. Most importantly, our team building escape experience is centered on "fun" which we believe is the key to forming genuine, collaborative relationships with others. The end result - teams that are more productive, creative, connected and motivated. Your group will have access to all of our rooms, as well as our conference facility, the perfect space for meetings! Breakfast catering is included. Play one game or play them all afternoon! Gain access to any/all of our games as well as having free run of our lobby and conference room, perfect for meetings. Various catering options are included (lunch only, snack only, lunch and snacks staggered across the afternoon). Enjoy a private experience at Puzzle Break Long Island. You will have the ability to fully customize the experience from start to finish. We'll help set the schedule, customize your breaks and catering options and of course provide your group a VIP host to ensure the day is as fun as it is productive!